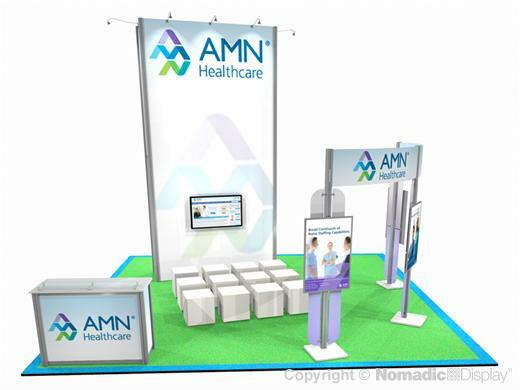 Nomadic has a whole new generation of breathtaking 20' custom modular trade show displays that are helping you drive brand visibility in key markets. We develop creative island display solutions that add a whole new level of dimensional impact to your selling environment. Nomadic trade show displays feature: a reception counter for greeting visitors with a bi-level, acrylic counter top, dimensional signage, walk-in storage, and theater presentation area for engaging clients. 10 - FlatPack 300 - 14.02" x 29.72" x 52.56"